Need for Speed SHIFT is an all-new simulation racing IP that combines the true drivers experience with real-world physics, pixel-perfect car models, and a wide range of authentic race tracks. Need for Speed SHIFT takes players in a different direction to create a simulation experience that replicates the true feeling of driving high-end performance cars. 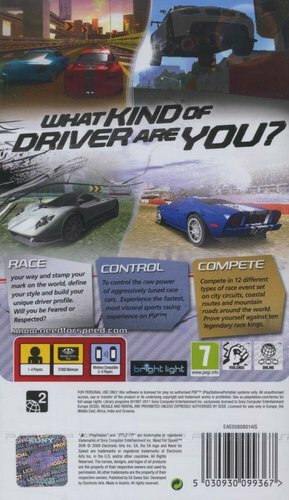 Players are thrust into the loud, visceral, intense, athletic experience of racing a car on the edge of control from the drivers perspective through the combination of perception based G-forces, the hyper reality of the cockpit view, and the brutal experience of a first person crash dynamic. 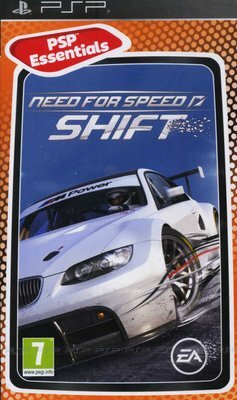 Need for Speed SHIFT features an accurate, accessible physics-based driving model that allows you to feel every impact, every change of track surface and every last bit of grip as you push yourself to the edge.